Can you imagine a curriculum focused less on memorized knowledge from a textbook and more on developing skills for critical thinking? We can, and we’re excited. BC’s new curriculum changes will be implemented this coming September. All elementary teachers will be teaching a curriculum geared towards big ideas, individualized learning, local knowledge, and inquiry-based practices. These changes will only strengthen our place-based and experiential learning programs. 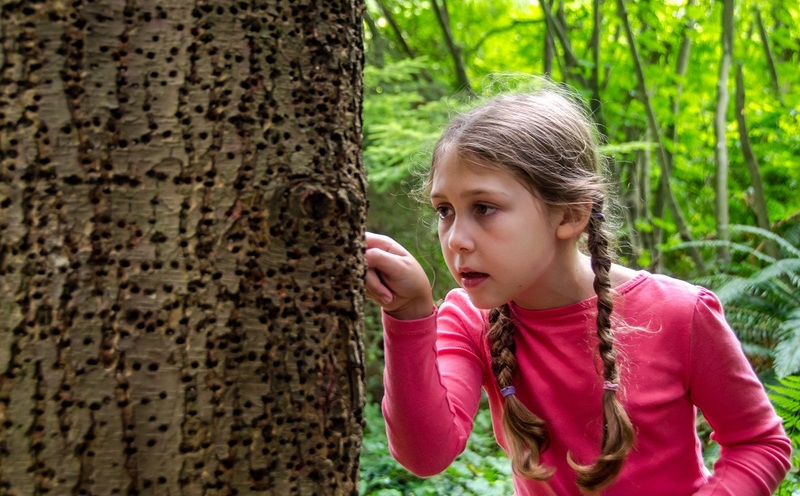 Since the winter of this year, we’ve been fine tuning our forest programs with the generous help of TD Friends of the Environment Foundation to ensure our programs continue to connect students to nature as best as we can. A grade 3 student enters our forest for the first time. After only a few minutes of an activity in which she was blindfolded and interacting with cedars, Douglas firs, and western hemlocks, she realizes she can now visually identify all three from afar all throughout the forest. In each of these scenarios it is clear that these students are deeply engaged, relating the new concepts to their own experiences, and are showing signs that this program will be a catalyst for further inquiry. Inquiry-based learning is a skill that can last throughout a lifetime. By giving students the tools and skills to deepen their connection and curiosity with the natural environment, our programs’ impacts will not end with our 2-hour programs, but continue into the students’ classroom and homes. In a world faced with ongoing environmental challenges, our planet’s future stewards must think critically and creatively to create positive outcomes for the environment and the planet.